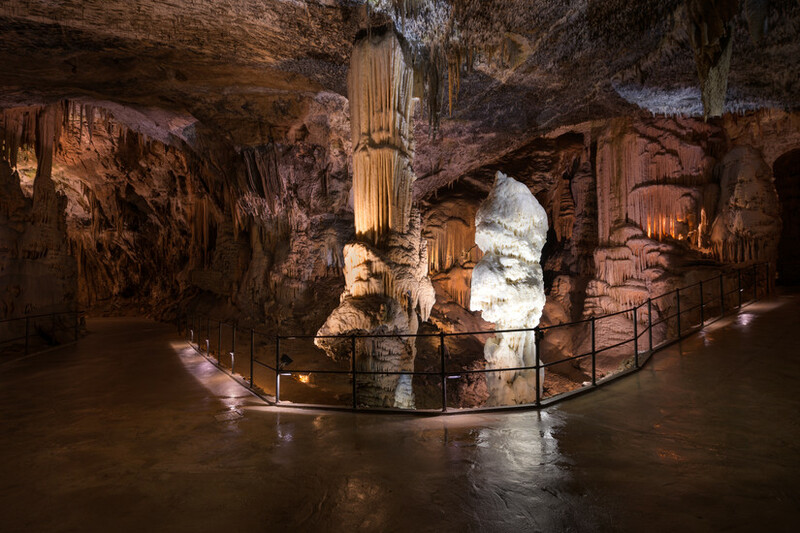 The largest cave in the Karst region and Slovenia's most famous tourist attraction, words on a page can hardly do justice to the majesty of Postojna Cave. 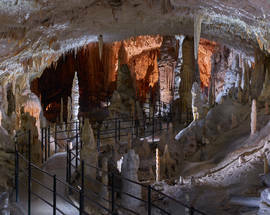 So far, more than 20 kilometres of galleries have been found, of which only 5km are open to the public. 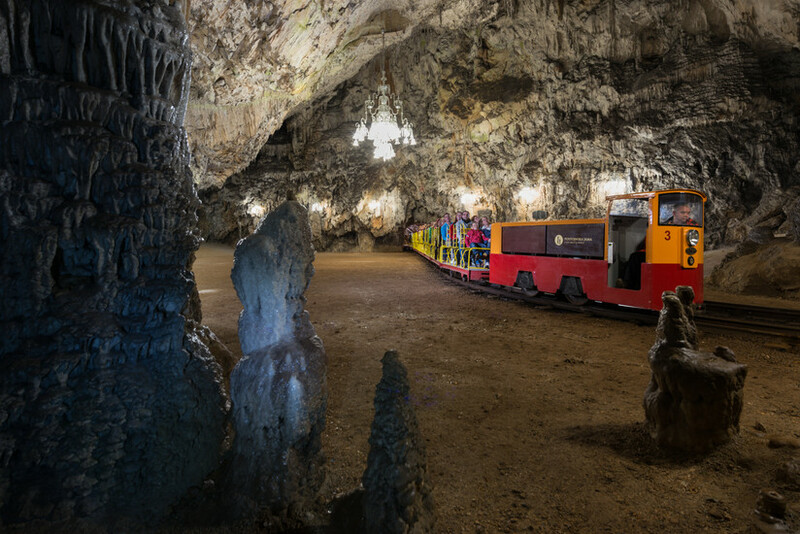 All the same, a visit here still takes up much of a morning or an afternoon, as you make your way through the most spectacular parts of the cave, at first by miniature train, indeed it is the only cave in the world with a double-track railway, and then on foot. 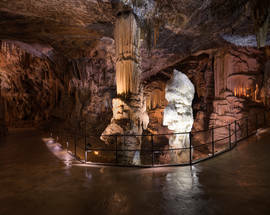 There are no stairs or difficult climbs along the path to or inside the cave, so visitors with limited mobility should not have any difficulties. Formed over millions of years by the Pivka river, the cave was discovered in the 13th century, though never properly explored until the early 1800s. 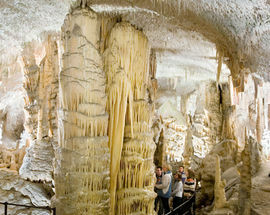 They opened as a tourist attraction in 1819, with Franz I, Emperor of Austria, among the first to visit. 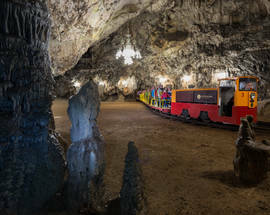 Bizarrely, so popular did the caves become that electric lights were fitted in 1884: some years before such technology was first deployed in Ljubljana itself. 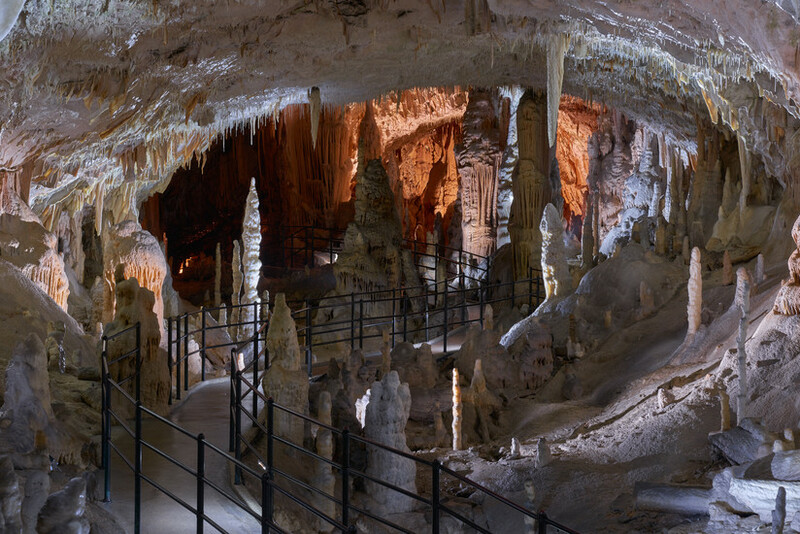 Highlights of the cave include the enormous stalactites and stalagmites, and the quite sensational Concert Hall, which can (and does) hold 10,000 people. The acoustics down here are said to be sensational. 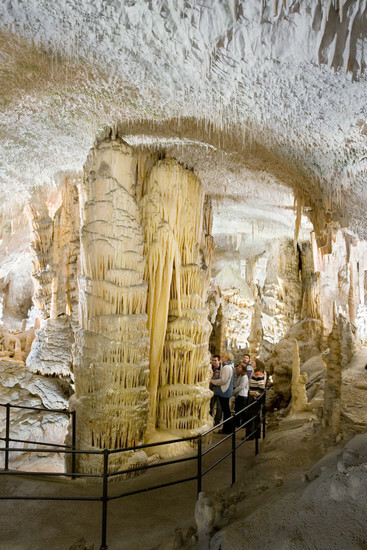 Note that the temperature of the cave is a chilly 10 degrees Centigrade, so bring a jumper. 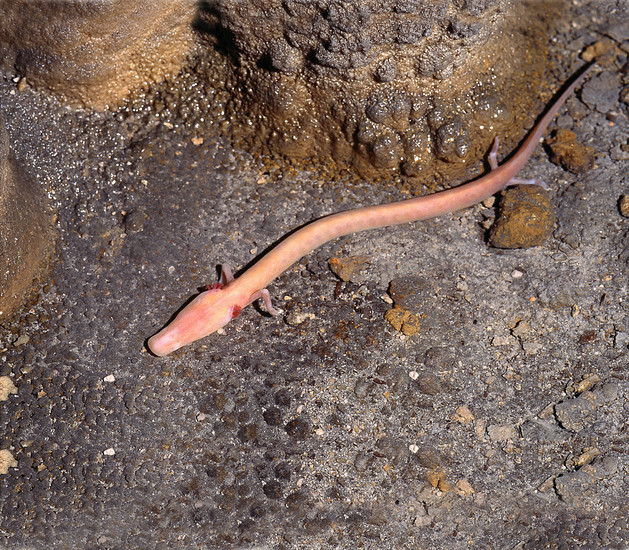 The caves are also home to olms (or white salamanders), a blind amphibian endemic to the subterranean waters of caves of this part of Europe. 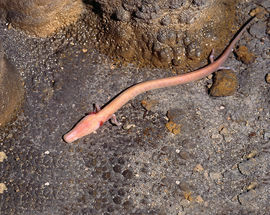 The olms can sometimes – though not always – be seen in some of the pools of water as you make your way around the cave. Though blind they are sensitive to flash photography and if you do spot one you should refrain from taking any photos. You will be well and truly told off if you do. 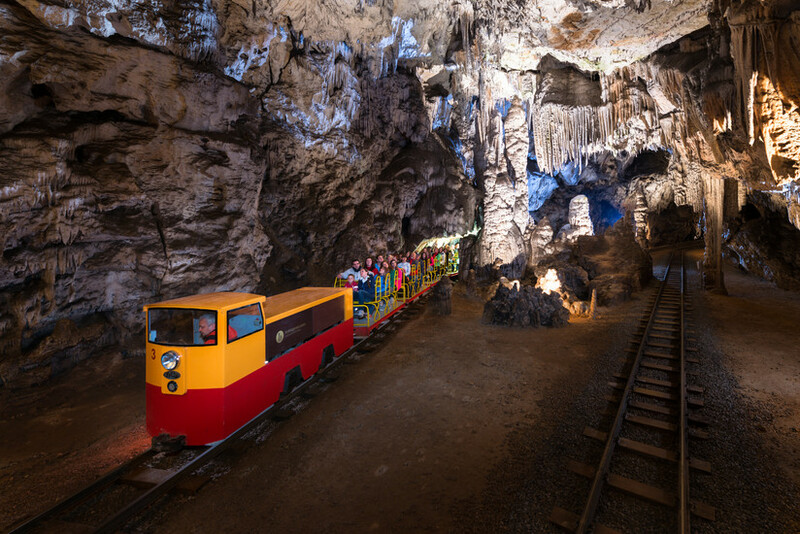 Postojna is about 30 minutes by car from Ljubljana, or you can take any train/bus heading for the coast. 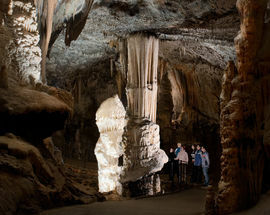 For more information see the official website. 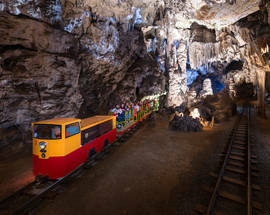 Adults €23.90, Children €14.30, Students €19.10.